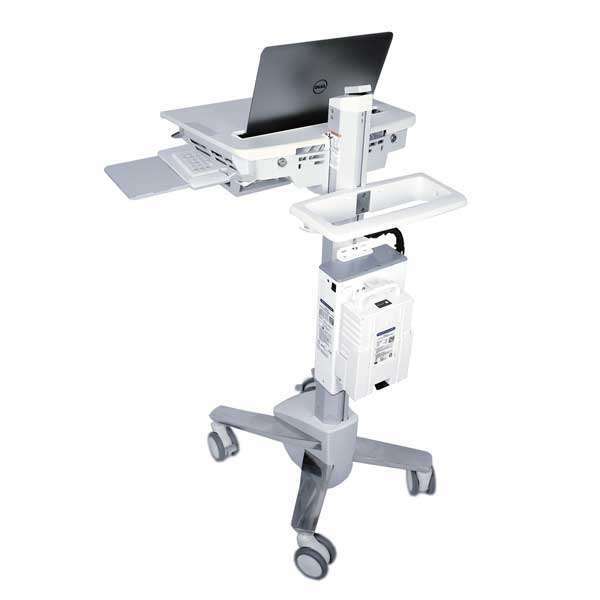 It’s not enough to have the best hospital laptop cart; you also need the right technology to go with it. Hospitals have extra requirements for their laptops and computers to help them run smoothly and efficiently. Germicide resistance, a tougher build to withstand heavy-duty cleaning, and faster running speeds are only some of the things health professionals require. Scott-Clark Medical can set your organization up with a hospital medicine cart, but that’s only half the equipment needed. In a study conducted in 2008 in Sydney, researchers realized that nursing staff preferred using laptops set on carts on wheels. Now, most laptops that are preferred for use in hospitals can be used either as a laptop or tablet. Germicide resistant, this laptop is designed to be easy to clean, and protected against any damage that might be caused by using germicidal wipes. The touchscreen and keyboard can be disabled for cleaning, making it easier to clean, and helping prevent the spread of germs. Featuring integrated RFID and biometrics for authentication, EliteBook has improved features to help medical staff get the most from their laptop. The touchpad can even recognize a print through medical gloves, improving efficiency and reducing waste. Combining both easy information input with the portability of a tablet, the Pro x2 can come with either a Core i3 or i5 processor that is low-voltage. This gives you better speeds without using too much battery power. Used with either a keyboard or pen and touchscreen, the Pro x2 offers the flexibility of use and allows doctors to be more casual and approachable to the patient. Given a rugged design, the ThinkPad 10 is a mobile, adaptable laptop. Able to be used as a laptop, tablet, tent, or desktop, it’s suitable no matter what you need. Containing ten hours of battery life and seamless connectivity, healthcare professionals can spend time doing what they need to, taking care of patients. With a fourth-generation Intel Core i7 Processor, the Yoga 12 is fast. No more waiting for information or documents to load. Lightweight and easy to carry, this laptop has eight hours of battery life, allowing you to get through most of a shift before it needs to be charged. With the right technology, a shorter battery life doesn’t have to be a problem. Able to be used as both a laptop and tablet, the Yoga 12 has several ways to input information. 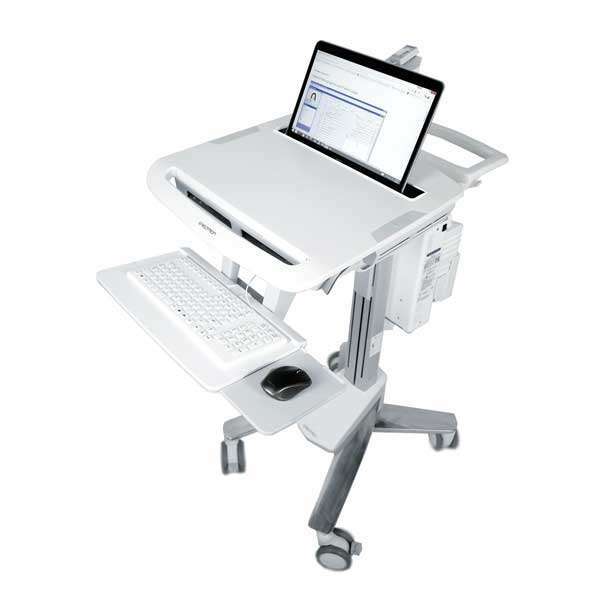 With a keyboard, ten-finger multi-touch screen, digitizer pen, and mousepad, you can move easily between the exam room and office. With an Intel Core i7 processor and a comfortable keyboard, this laptop is powerful and capable of multi-tasking. Containing more ports than most of the others on this list, it has a headphone/mic jack, two USB ports, HDMI, and an SD card slot. At 2.9 pounds, it’s light enough to be easily carried and durable enough that it can withstand it. Choosing the best laptop for your needs is essential to the efficient running of your hospital. No matter which laptop you select, at Scott-Clark Medical our team will give you the best customer service when it comes to finding the right hospital laptop cart. Battery lifespans are no longer an issue with a wheeled computer cart with battery.